Our Bombay Malt & Cigar club’s 2nd July session featured a Westland trio – with a rather interesting order…. starting 1st with the Peated, then their flagship American Oak followed by this – the Sherry Wood. We sampled blind, with nothing revealed until after all three whiskies were given due consideration. Our conclusion was this was quite a tasty dram, with a good balance. It also paired well with the cigar… which is naturally rather important to the Bombay Malt & Cigar gents! 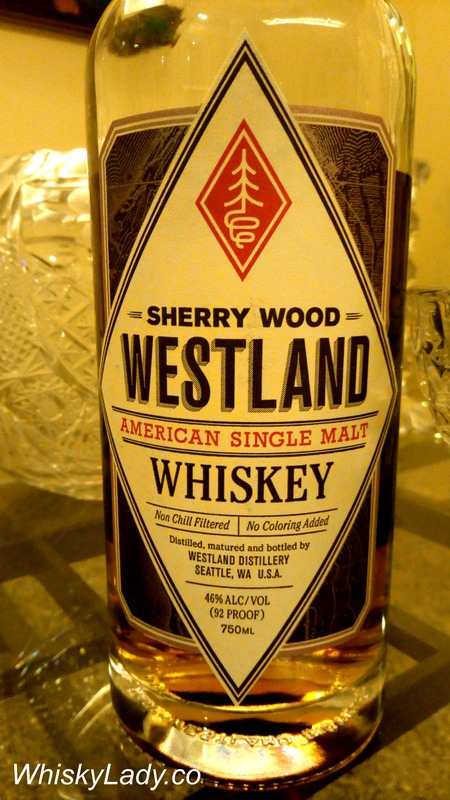 Westland’s Sherry Wood is a new world approach to an old world idea. For decades, the use of ex-sherry casks for whiskey maturation has been a favored technique in Scotland and beyond. In marrying the decadence of sherry with our unique grain-forward house style we create something altogether new. Like the grain we source, we hold our sherry casks to high standards of quality. These casks held some of the world’s finest Pedro Ximénez and Oloroso sherry for nearly a century and in the skilled hands of Rafael Cabello and his team at Tonelería del Sur in Montilla, Spain they have been given new life and purpose. Our long-standing partnership with his family-owned cooperage now provides us with one of the largest supplies of sherry casks in America. The nose offers an immediate richness, with honey-dipped oatmeal raisin cookies. Maple syrup follows close behind, drizzled over banana pancakes. The palate initially offers some kiwi with more maple and raisin syrup notes. Extended tastings offer a dazzling array of sweet cookies and pastries, getting darker and richer with time before eventually ceding the palate to stewed yellow fruits on the finish. This entry was posted in American, Beyond Scotland and tagged Westland, Westland Sherry Wood by Carissa Hickling. Bookmark the permalink. Can I ask what “banoffee” pie is? Sounds tasty! I totally get both the Christmas Cake ref and the red cough syrup too! However can appreciate these aren’t universal. We also have lots of associations in India that are unfamiliar to those who haven’t grown up here. Our Whisky Ladies sessions can be quite amusing as we have a real cultural mix so have an interesting exchange of descriptions!